Artistic License Renewed was delighted to sit down with Raymond Benson to discuss his memories of Fleming’s favorite comrades Ernest Cuneo and Ivar Bryce, during the researching of his essential James Bond Bedside Companion. 1. Did Cuneo and Bryce have a favorite Fleming novel? 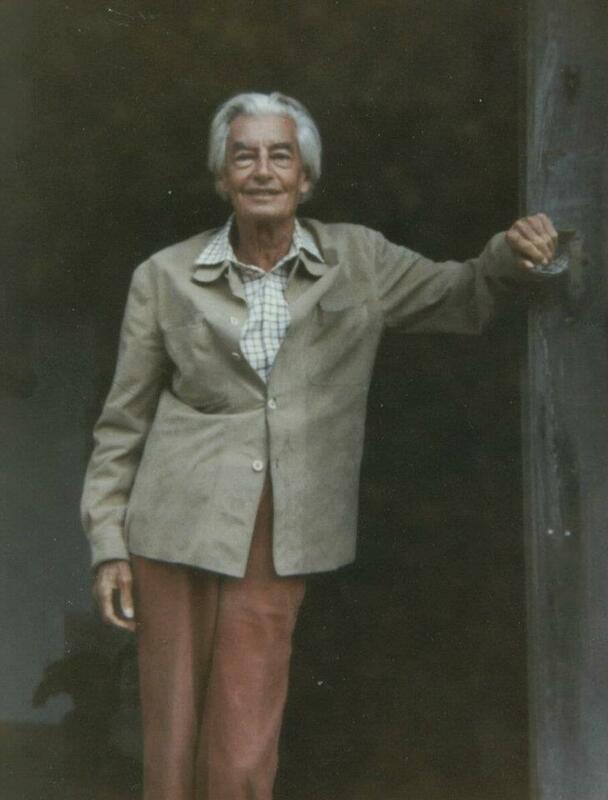 Ernest Cuneo, it seemed to me, couldn’t have cared less about Bond. He just liked Fleming and they were great friends. 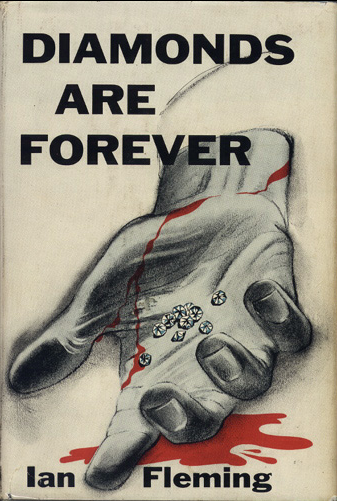 Ernie took Fleming on the cross-country trip of the U.S. to research “Diamonds Are Forever,” and Fleming named a character after him (Ernest Cureo, taxi driver). I imagine that might have been Ernie’s favorite, but he never said. His participation in the development of “Thunderball” was, to him, just a weekend of throwing out ideas with the guys. 2. 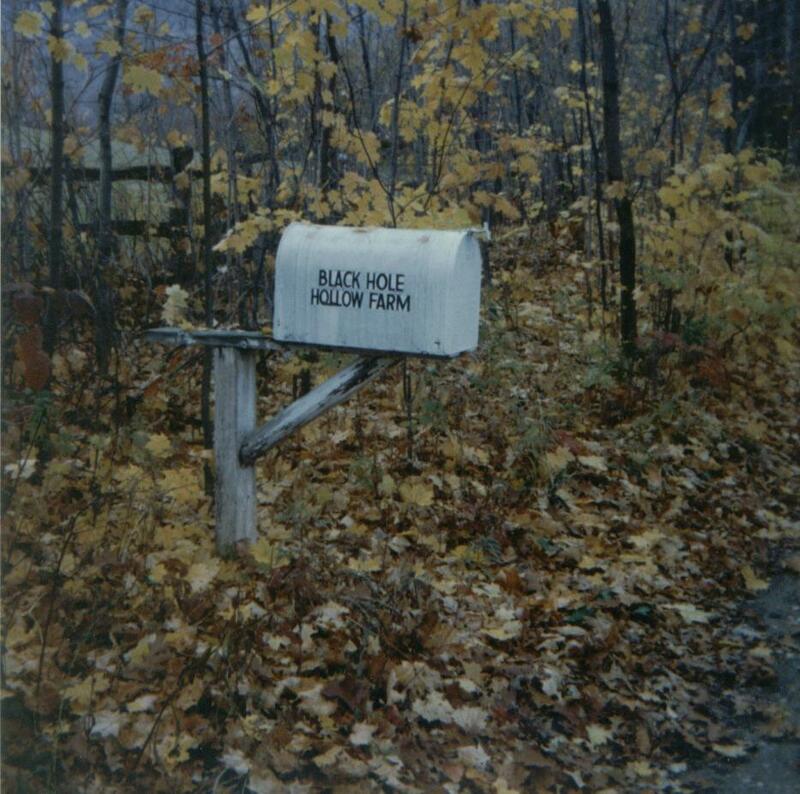 What was your experience at Black Hole Hollow Farm and does it still exist? 3. Did Cuneo and Bryce talk much about their time with Roald Dahl and Fleming as part of the Baker Street Irregulars? Bryce was actually neighbors with Roald Dahl. 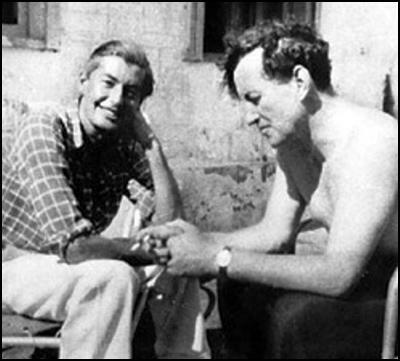 At the time of my visit with him, he attempted to invite Dahl and his wife, Patricia Neal, over so I could meet them. They had other plans, though, so it didn’t happen. Cuneo and Bryce never referred to their WW2 work as the Baker Street Irregulars. Cuneo was in the OSS and worked with Wild Bill Donovan, and he was a liaison to William Stephenson—which, in turn, led him to Fleming. 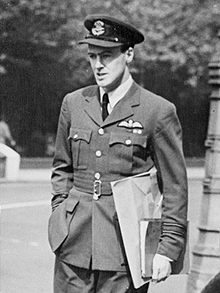 Bryce was tight-lipped about his wartime service, although he wrote a lot about it in his autobiography, “You Only Live Once.” I have a feeling Bryce himself was more of a James Bond-type than Fleming ever was. 4. How much do you think of Bond was based on Ivar Bryce? As I mentioned in the previous answer, there is quite a lot of evidence to suggest that Fleming was inspired by what his childhood friend did in the war. Bryce was more of a “hands-on” secret agent, Fleming was more of an administrator. I’ve read numerous accounts by former intelligence officers claiming that they were the inspiration for 007. I don’t believe Fleming based Bond on any particular person. He used an amalgamation of men he knew during the war, but mostly Bond was himself, the way he would have liked to have been in his fantasies. 5. Can you tell us more about Cuneo’s influence on ‘Diamonds Are Forever’? I recounted some of the stories Ernie told me in “The James Bond Bedside Companion.” It sounded to me like it was really a martini-tour of the U.S., with a little research on the side. Whatever it was, I know they had a memorable time together. While in Las Vegas, they attempted to gamble at least once at every single casino in the city (of course, in 1954, when this occurred, there weren’t that many). They would go to the roulette or blackjack table, play one time, have a drink, and then go to the next place. I believe most of Fleming’s account of America in “Diamonds are Forever” came from how he saw the country through Ernie’s eyes. 6. Is there anything you discovered after publishing The Bedside Companion you wish was in there and will it ever be re-published? The book has been republished and corrected, but it’s still the 1988 edition that was updated from the original 1984 edition. It’s available only as an e-book right now. I went back and made some corrections that have always bothered me—things that were proven incorrect after the book came out, some weird typos that never got fixed, and other minor things. I’ll never update it to the present, though, mainly because I was one of the Bond authors. I can’t very well do “critiques” of other authors’ Bond novels, or even of the films—it just wouldn’t be right. “The James Bond Bedside Companion” will have to remain a relic from the 1980s. 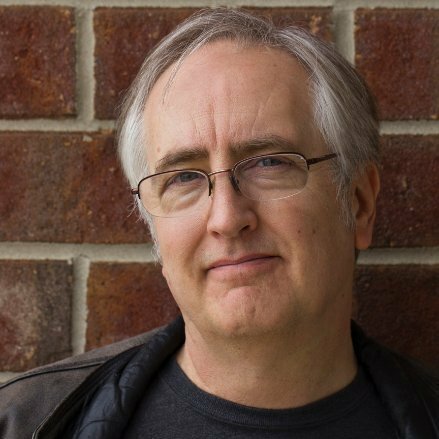 Raymond Benson is the author of thirty published titles. He was the first American and third author to be commissioned by the Ian Fleming Estate to write official James Bond novels between 1996-2002. Most recently he has penned the critically-acclaimed five-book “Black Stiletto” saga, of which three have been published, with the final two coming in 2014. 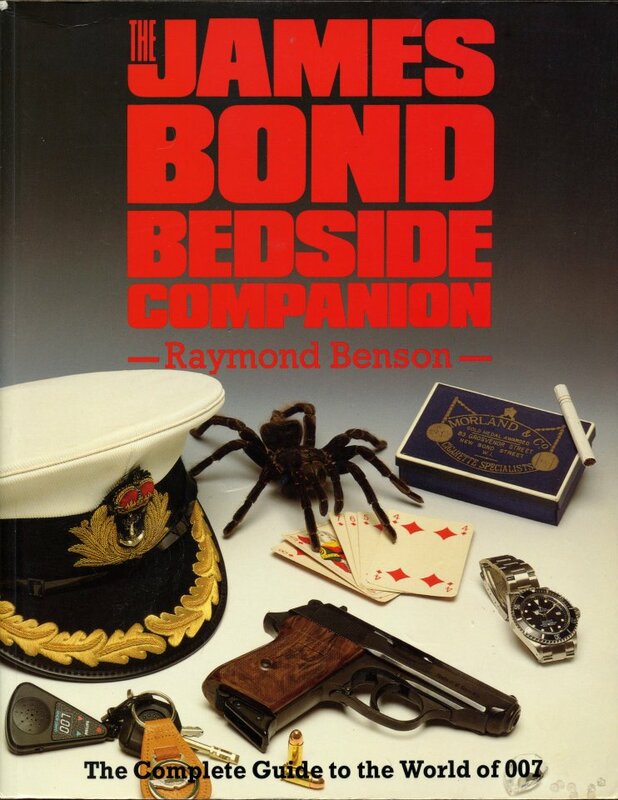 Benson had previously written the now classic, The James Bond Bedside Companion, a book dedicated to Ian Fleming, the official novels, and the films. The book was initially released in 1984 and later updated in 1988. It was nominated for an Edgar Award by Mystery Writers of America in the Best Biographical/Critical Work category. Great interview. What a coup! I have to get around to snagging the Bedside Companion one of these days.